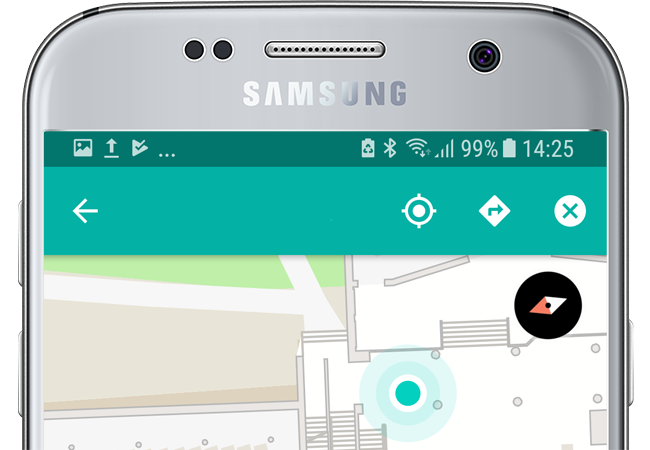 Easy to integrate indoor maps, positioning and wayfinding for any use. Get started by checking out the demonstration applications from Play Store or the App Store. We have examples, full API descriptions and getting started guides for each platform. Just select your platform and dive in! Either use the demo API to gain access to an office map or get your own venue mapped with your own API key by getting the starter kit. The fastest and easiest way to use maps and positioning in your own venue is to get the starter kit. Your own maps and positioning will work by simply changing the API key of the example apps. Migrating from the example apps to using the starter kit in your development office to a full blown indoor positioning installation in a hospital or an airport is as easy as swapping the API key. The SDK will fetch the positioning data, the maps and routes for your venue, no matter the size, the number of buildings or the platform.